Did you know that olives and olive oil fight cancer? Mediterranean Diet for All » Diet Tips » Did you know that olives and olive oil fight cancer? Australia shows the way to fight cancer with the Mediterranean Diet, how? We have repeatedly mentioned in many of our posts that consumption of olive oil creates a protection shield against many diseases among which it is cancer. Olive oil and olives are among the foods which can and should be consumed daily in one form or the other as part of the Mediterranean diet. You may use olive oil in salads as dressing, in foods when cooking and olives as a snack, in salads or when making a delicious olive pie! Olives and olive oil are major components of the Mediterranean diet and their medical properties have been recognized since the early days of civilization. The healthy benefits resulting from the olive tree, known in scientific terms as Olea Europaea, have been well known to the ancient civilizations of the Mediterranean region for the past 5000 years. The benefits from the leaves and the fruits of the Olive tree were fully exploited by civilizations like the Athenians and the Spartans. The olive tree was the Holy tree of the Athenians and the gift given by the goddess Athena. Why are olive products beneficial for us? The reasons are many, and we would like you to know that consuming 3-4 olives day or 3 tablespoons of raw extra virgin olive oil protects your body from cancer. How? Olive oil contains a polyphenol called hydroxytyrosol which destroys tumour cells and prevents their proliferation and expansion in the human body. Hydroxytyrosol is an antioxidant with anti-cancerous properties and many other positive effects on our health. These positive effects have been analysed and explained by many studies and articles by many authors and in many languages. The positive effects of hydroxytyrosol have been shown and proven in the study done by the scientist Dr Tom C. Karagiannis, Director of the Department of Molecular research of the Gene Baker Research Institute in Melbourne, Australia. 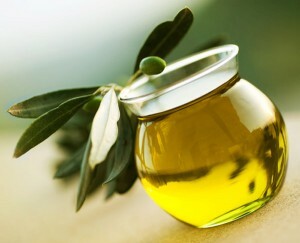 More specifically, Dr Karagiannis’ study emphasized the fact, that there are benefits to our health by consuming olive oil, and one should consume: either 50 ml (1.7 of fluid ounces) of raw virgin olive oil or 4-5 olives per day or even a combination of the two so that you would achieve the maximum benefits. In addition to all these Dr Karagiannis, who has studied extensively the biological properties of this olive polyphenol, has emphasized that the anti-cancerous effects of hydroxytyrosol in vitro and in vivo are difficult to be disputed because of the large number of proofs and studies which are at this moment available from various researches performed by scientists in the field. Hydroxytyrosol, apart from being found in olives and olive oil, it exists in several Mediterranean herbs like the Cretan dittany and in lavender, in verbena, grapes, carobs and privet. This is not the first study done by an Australian scientist on the Mediterranean diet and this shows that Australians are very much geared towards healthy living and eating and the Mediterranean diet is a popular diet, way of living, in Australia. In 2000 Dr Trichopoulos and Dr Trichopoulou has published a paper in which the documented the results of their study about the effect of the Mediterranean Diet traditions in the fight against cancer. Other studies have shown the positive effects of olive oil in the reduction of cardiovascular diseases of people who lived in areas where the consumption of olive oil was high. The effects of olive oil and its biological importance on our health was also the subject of a study done in 2001 by 3 scientists from the University of Seville in Spain and this study is quite extensively cross referenced by Dr Karagiannis. It should be noted that this study elevated the importance of olive oil and the numerous biological functions that is has, which are most beneficial for our health. The study has shown that hydroxytyrosol destroys the cancerous erythroleukemic K562 cells an attribute which was identified by many other studies and which have identified hydroxytyrosol as a potent antioxidant with many anti-cancerous properties. The study by Karagiannis was awarded during the award ceremony of the 2nd International Medical Olympiad, which took place on 18-20 October 2013 at Thessaloniki, Greece. This International Olympiad is which was considered to be a successful event is organized by the Medical Olympicus Association, MOA, and aims in promoting advancement in Medical art, science, technology and pharmacology. (The first International Olympiad as held in 2011). In a future article which will be posted on our site, we will attempt to list all the research which was done around Mediterranean Diet and its beneficial effects, the research concerning the Mediterranean foods, fruits, herbs and other natural products which grow in the Mediterranean region. Hopefully by listing these studies we will convince the so far unconvinced that the Mediterranean diet is probably the healthiest diet in the world. The article in reference can be found at http://www.ncbi.nlm.nih.gov/pmc/articles/PMC3316757/#CR45 and in many other scientific publications. How much Olive oil is beneficial for a Healthy Body? Andrea Aurelio adopted the Mediterranean diet and the Mediterranean way of living after evaluating a series of diets and realizing that the Mediterranean diet is a proven diet and the best way to adopt a healthy lifestyle. You can connect with him on Google+, Facebook, Twitter and Pinterest. Previous post: What do you expect to find in a Mediterranean diet grocery list? Next post: Who should follow the Mediterranean diet?